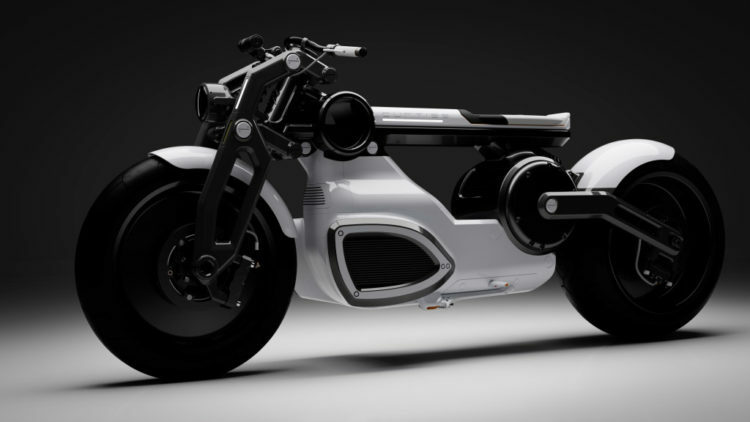 Around a year ago Curtiss started a crowdfunding campaign to build a flagship electric motorcycle. With $266k in working capital they've been hard at work on the Zeus and some new pictures of the prototype have recently surfaced. Its certainly a novel design, which wont come cheap as its expected to start around $60,000. However Curtiss claims its 140kW motor gives it a 0-60 time of 2.1 seconds and can travel 280 miles on a single charge.